Understanding your users’ vulnerabilities is essential to deliver personalized security awareness training and identify broader cybersecurity risks for your organization. Our ThreatSim® Phishing Simulations help you assess users’ phishing awareness and their susceptibility to real-world threats. CyberStrength® Knowledge Assessments help you gauge their understanding of critical cybersecurity topics. ThreatSim® tests your organization’s susceptibility to a variety of phishing and spear-phishing attacks. 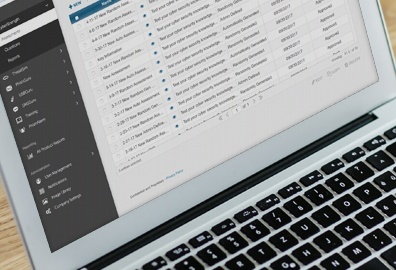 Unlike other phishing simulation tools, we provide Dynamic Threat Simulation phishing templates based on current lures spotted “in the wild” by Proofpoint’s industry-leading threat intelligence. ThreatSim gives you the tools to create and administer customized phishing campaigns that are appropriate for your organization. And with our Auto-Enrollment feature, it’s easy to assign relevant, timely interactive training to users who fall for a simulated phish—delivering the right training to the right people at the right time. Users who fall for a simulated attack also receive practical “just-in-time” teaching. Our Teachable Moments explain the purpose of the exercise, the dangers of real-world attacks, and how to avoid future traps. 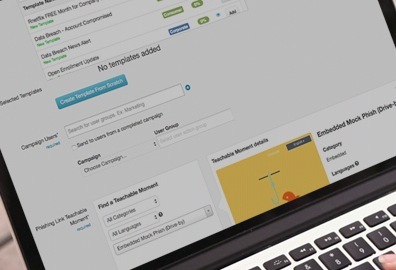 Distinguishes actual users’ clicks from those made by email protection tools, ensuring accuracy. Use real-world phishing templates based on current lures spotted by Proofpoint threat intelligence. Automatically deliver targeted training to your most vulnerable users, maximizing efficiency. Gauge your employees’ understanding of the dangers associated with SMS/text phishing (smishing) by sending customizable text messages directly to their mobile phones. 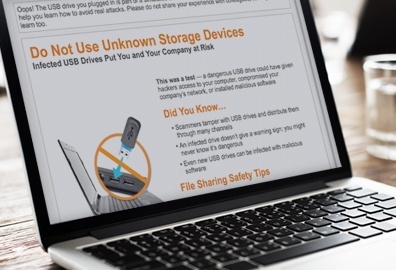 Introduce employees to the concept of infected removable memory devices, using mock USB drops to test their vulnerability to this dangerous threat vector. Now self-service so you can run unlimited USB simulations at any time and in any quantity. Phishing is just one of the cyber threats your organization faces. CyberStrength® is a powerful end-to-end knowledge assessment tool for identifying potential vulnerabilities — from an organizational level down to the individual. 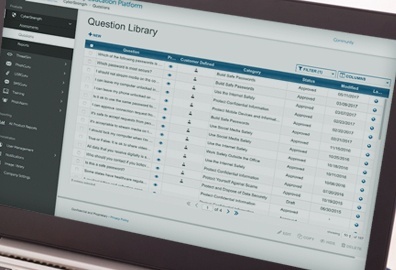 Choose from our library of 185+ questions across a broad range of critical cybersecurity topics; you can also create custom questions to gauge understanding of your organization’s policies and procedures. After using CyberStrength to establish a baseline measurement of your employees’ understanding, periodic reassessments allow you to track progress and target areas of concern. These data-driven insights help you refine your cybersecurity awareness and education plan and deliver personalized training, driving continuous improvement and reducing end-user risk. Choose from our continuously updated library of questions, designed to align with our interactive training. Streamline administrative tasks with preset questions and Auto-Enroll users in follow-up training. This was entertaining and helpful. Good use of interactive activities and immediate feedback for learning.